Today is father’s day. It’s true – my girls don’t have an earthly father. As Athena is quick to point out, “we have God, Jesus, and Holy Spirit. That’s three! !” More than the average kid. Our life is wonderfully unusual, I know. Intentionally I chose to become a single mom. I’m ok with that. And so are my kids. Since their arrival, I’ve been it – the only parent around. To us it’s just the way it is. Of course in a perfect world, I would have married when I was young and the foster children who come to me would be greeted by a lovely mom & dad. That didn’t happen. I’m grateful God isn’t hung up on perfection. He’s willing to bend the rules. In doing so He brought me two delightful girls that I get to keep forever. Today I’m focusing on what my kids have instead of what they don’t. They have a mom who loves them. Even though I fail repeatedly, I’m not giving up on them or myself. Relationships aren’t easy. Each is an opportunity to grow in grace and compassion. I’m making the most of every opportunity! My girls have a great community who love them. We’re surrounded by other families and individuals who come alongside us. My daughters have friends they’re growing up with – something that was and is a very special part of my own life. My own family have embraced Raine & Athena. It’s hard to believe that some extended families don’t welcome adopted children. Sadly, this can be the case – especially when the children come broken and, at times, resistant to love. Thankfully my parents, siblings, and their spouses have all welcomed the addition of my children. My daughters have a stable home life. 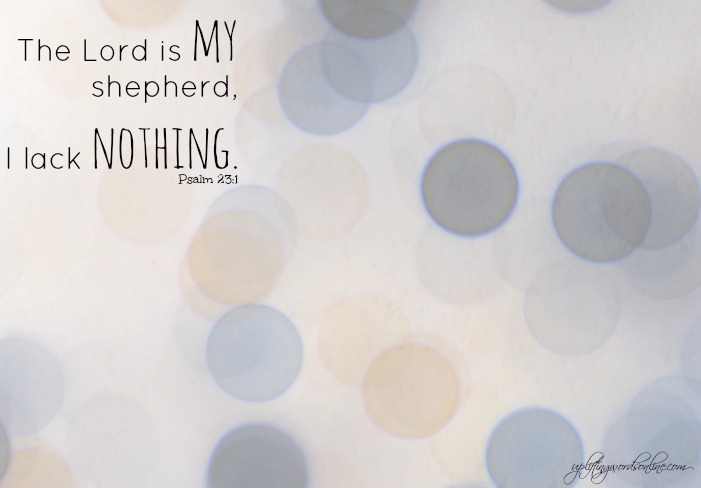 They lack no good thing (Psalm 34:10). The Lord has provided a beautiful home and the necessary finances to keep us afloat. He’s opened the doors for me to be home full-time with my kids. This means the world to them and me. Most importantly, my daughters have a Heavenly Father who loves and cares for them. They live in abundance – lacking nothing.